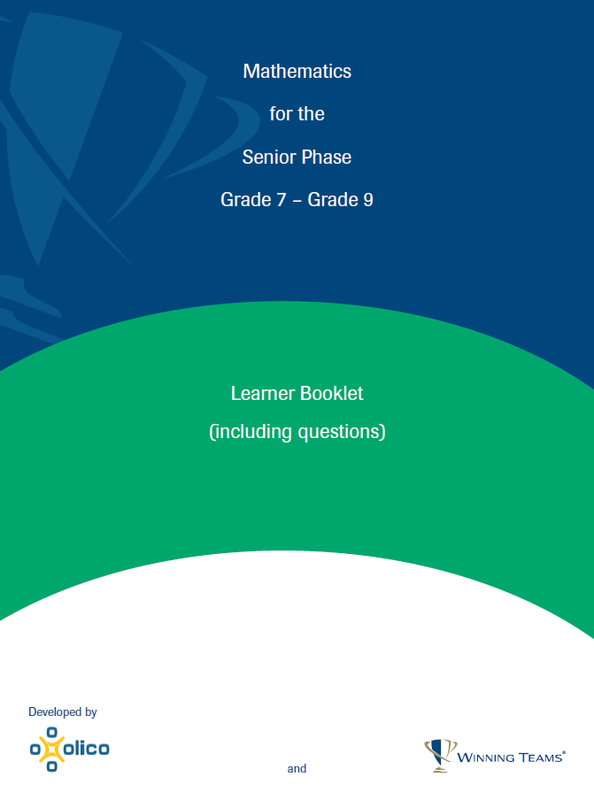 This free booklet, Mathematics for the Senior Phase Grades 7 – 9, summarises key mathematical concepts across all three grades in the Senior Phase (i.e. Grades 7, 8 and 9). It is not intended to replace the prescribed textbook but is useful for revision, consolidation of skills, and provides a range of practice questions and summaries for learners. The booklet provides a clear indication of the content covered in each grade and, where necessary, includes reminders of mathematical concepts covered in earlier years. This booklet is published under a creative commons licence BY-NC-SA and is free to share and distribute. Please do let us know if you find it useful, we welcome any feedback.